Okinawan Goju-Ryu Karate is a traditional style of Karate with roots reaching back to Foo Chow province in China from where the skills taught by Master Ryu Ryuku was brought to the island of Okinawa by the famous Okinawan Master, Kanryu Higaonna. 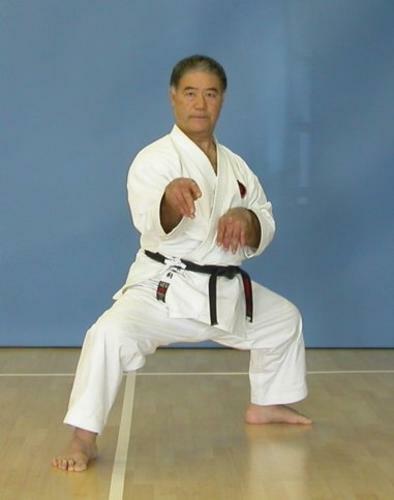 One of his foremost students, the legendary Chojun Miyagi, developed his own unique style from the teachings of Master Higaonna and named it Goju-Ryu. GOJU means literally HARD/SOFT with the GO implying physical strength and a strong character whilst the JU implies a supple and mobile body with a flexible, gentle nature. RYU means system. Goju-Ryu incorporates both circular and linear movements into its curriculum, combining hard striking attacks such as kicks and close hand punches with softer open hand circular techniques for attacking, blocking, and controlling the opponent, including locks, grappling, take-downs and throws.